Tuxtla Gutiérrez, the state capital of Chiapas, is not one of Mexico’s great colonial cities loaded with old-style charm and historic architecture, traditional images to provide an irresistible draw to tourists – much to its regret. 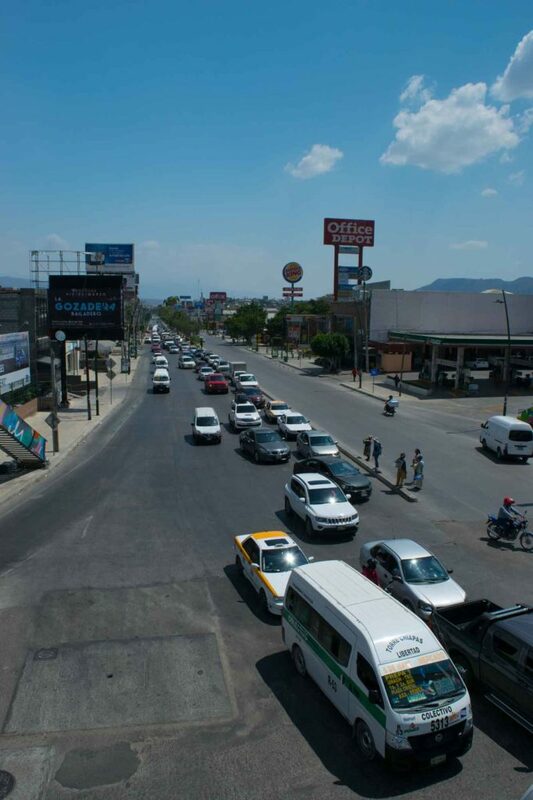 Every so often, Chiapas’ politicians and state officials – nearly all of whom live in Tuxtla – express a vague annoyance at the fact that so few of the state’s millions of visitors give their capital even a first look, but this is really not hard to understand. Compared to Chiapas’ universal attractions, the magnificent Maya ruins of Palenque and Yaxchilán and the colonial highland city of San Cristóbal de las Casas and the fascinating living Maya culture of the surrounding villages, Tuxtla is a plain, workaday place with unfeasibly manic traffic for a city of only around 550,000 people. Tuxtla does have its special, one-off visitor attractions: the Zoomat zoo and nature reserve on the edge of the city, a spectacular collection of wildlife, in natural settings, and every single species of which is native to Chiapas; one of the best museums of Maya and other pre-Hispanic artefacts outside Mexico City; and the little colonial town of Chiapa de Corzo, leading to the awe-inspiring Sumidero Gorge, just to the east. But the city itself is a prosperous but nondescript place. Tuxtla was only a minor settlement in colonial times, and became state capital in the 1830s only because the surrounding ranchers had managed to displace the old elite based in San Cristóbal from power and needed a city of their own. Much of central Tuxtla looks as if it was rebuilt en bloc during one of modern Mexico’s most prosperous eras in the 1940s and ’50s, while the west of the city, along the giant Boulevard Belisario Domínguez that runs straight through it from east to west, hosts a string of malls, stores and entertainment centres for Chiapas’ car-driving middle class. But… while it may not offer much in the way of traditional Mexican colour and folk culture, Tuxtla is instead a front-rank spot for appreciating some of the realities of Mexico right now, as the country – particularly the working Mexico that for over 20 years has placed its hopes for future prosperity in a subordinate attachment to the US economy through the NAFTA agreement – faces the prospect of a kick in the teeth and an abrupt turnaround in the Trump era. Along Tuxtla’s Boulevard you can see a giant Walmart, a giant McDonalds, a giant Sam’s Club, a giant Goodyear tire concession, massive malls full of US brands and cineplexes showing Hollywood movies, living demonstrations both of just how Americanised the way of life of the Mexican middle class has become and just how very-well-thank-you all these US corporations have been doing out of Mexico since NAFTA began. At the same time though the city’s disproportionately insane traffic – at times, unpredictably, all the lanes of the Boulevard can be backed up for blocks and blocks in either direction – reflects a very Mexican problem. Plenty of Tuxtlecos, it’s very obvious, have cars, but plenty others do not and rely on public transport. Here’s the rub. 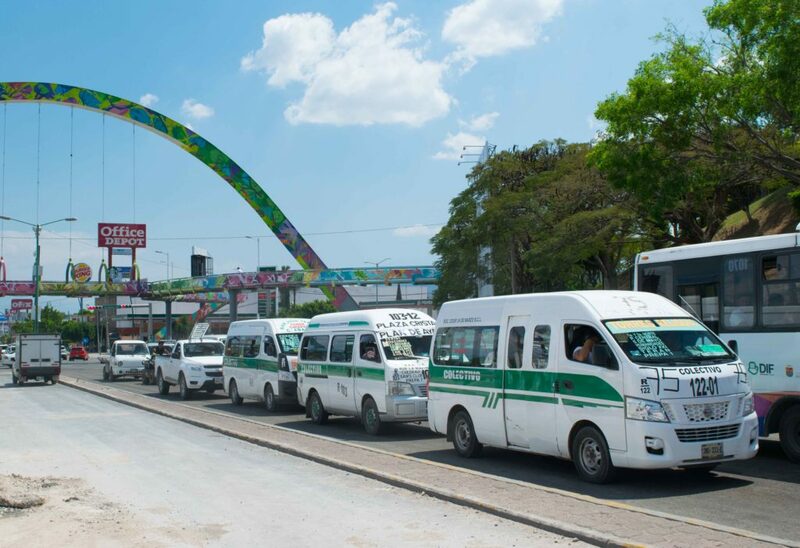 Tuxtla does not have full-size buses, or at least hardly any of them. Instead, there are hundreds of small colectivo combis, 10-12 seat Nissan vans that run to virtually every street corner. You can often see whole traffic jams made up entirely of green-and-white colectivos. A glaringly obvious way of cutting the city’s congestion would be to introduce proper-size buses running on set routes with stops on main streets and in district centres, like in most parts of the world, each one of which could replace around 10 combis or more. But this would give work to only one (decently paid) driver per bus, whereas 10 combis means 10 jobs, maybe with only a minimum income from their meagre number of passengers, but jobs all the same. And in Mexico jobs are not to be thrown away, despite Tuxtla’s surface prosperity. So any proposal to introduced some rationality to local transport here will as sure as day come up against flat-no opposition. Mexico’s great problem is creating real work that provides decent incomes, not just share out scarcity.